For as long as it’s been in existence, Apple TV has wanted to be something more than what it is. Whether it was purchasing and renting movies, downloading games and apps, or simply watching live programming, Apple’s digital media player has always been a step or two behind its expectations. Even as it’s matured from a Mac-reliant box to a standalone streaming dynamo, there’s always been a sense that Apple TV’s potential is greater than its reality. And while it may have graduated from its hobby status, there’s still a sense that it’s a secondary device, something that adds value to the existing ecosystem but doesn’t really stand on its own. The message is clear: After nearly 10 years in existence, Apple TV might finally be ready for its closeup. Apple TV is the only Apple device that relies on others’ content. From the apps to the channels, even the photos in our libraries, every bit of the media we enjoy on our Apple TVs is made by someone other than Apple. But that won’t be the case for too much longer. Just this past week it was reported that Apple had purchased the distribution rights an unscripted TV series based on James Corden’s Late Late Show sensation, “Carpool Karaoke.” Also in development is Planet of the Apps, a Project Greenlight-style reality show that will chart the search for “the next great app.” Finally there’s the rumored Vital Signs, a semi-autobiographical drama starring none other than Dr. Dre. And there are sure to be more to follow. Apple has an extraordinary amount of clout and capital to pump into original programming, and within a few years it could easily have a slate of series that rivals Netflix, Amazon, and even HBO. And if Apple TV is the only streaming box that allows you to see them in all their glory, it would instantly turn into something far greater than it is today. Streaming boxes are still secondary to the DVR boxes we rent from our cable companies. Our library of recorded programs is the ultimate in on-demand programming, and cable subscribers spend more time navigating the often clunky menus of their DVRs than they do with any streaming box. Of course, if you subscribe to a cable service you have precious few choices for third-party DVRs (if the operator allows for such a thing at all), but there could be changes on the horizon. The FCC recently took aim at DVR lock-in, proposing that operators deliver their service to any device using any open standard, not just the standard coaxial hookup. Someday soon your set-top box could be your DVR and cable box too. If it becomes a mandate, it would allow Apple TV to become the primary box in our living rooms. It’s a move that would elevate Apple TV without the complexity and cost of negotiating a deal to sell “skinny” channel bundles. The beauty of Apple TV is its interface, and with tvOS powering the grid, there would no longer be a need to have a separate DVR and set-top streamer, putting Apple TV at the center of our home theaters. As it stands, Apple TV is designed to be a background device, the rare Apple product that isn’t meant to be seen. It looks nice, but its case is utilitarian; people buy Apple TV strictly for what it does, not how it looks. But if Apple has plans on expanding Apple TV’s role, the maturation of tvOS could impel some serious design changes. It’s not just the potential to turn it into a DVR (which wouldn’t require many external changes at all, save perhaps the addition of a digital clock). If Apple TV is a platform as Cook says, there’s no limit to how it could be implemented. Apple could treat tvOS like it does CarPlay, partnering with third-party device manufacturers to expand their appeal and capabilities, while appealing to a whole new subset of users. Apple could build tvOS into other devices, or even license it for products like this Sonos Playbar soundbar. And if Apple TV truly wants to dominate our living rooms, video isn’t the only path. With a very Apple-like “it just works” system, Sonos has shown that a drop-dead simple set of speakers can perform just as well as a 5.1 channel receiver and a tangle of speaker wires. With built-in tvOS, an Apple soundbar would be the ultimate home hub, offering an always-on solution for everything the company is trying to accomplish. At once, Apple would have a front-and-center device with Siri capabilities and HomeKit integration that acts as the gatekeeper for the smart home. And then, of course, there’s the TV itself. While it was a hot rumor following Steve Jobs’ famous “I finally cracked it” proclamation, we haven’t heard much about Apple building a flat-screen TV for a few years now, and it would seem that Apple has abandoned the idea. But the despite the proliferation of smaller screens in our lives, the TV isn’t about to lose its place as the centerpiece of our living rooms (and in essence, our homes). Any current or future Apple TV incarnation obviously needs a TV to operate, and it’s foolish to think there aren’t a few prototypes hanging on the walls in Jony Ive’s office. It could be that Apple wants to perfect the Apple TV box first; once it’s built in to a full-fledged television set, there is far less room for error. But you shouldn’t discount the possibility down the road. 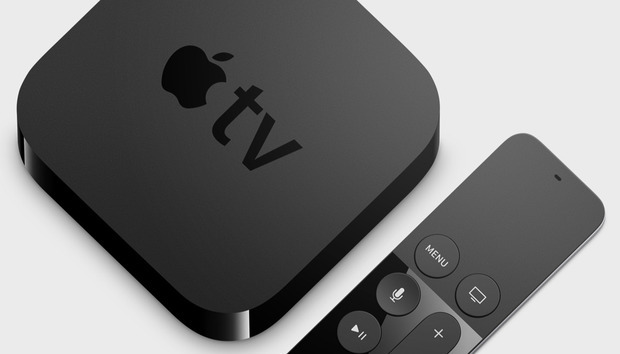 But whatever form it takes, it’s clear that Apple has big plans for its Apple TV. Over the past 10 years, Apple has learned a lot from its hobby. And now it just might be ready to turn pro.